Leverkusen - After netting just three Bundesliga goals during the first half of 2014/15, Bayer 04 Leverkusen striker certainly has some catching up to do. The 30-year-old already trails Eintracht Frankfurt's Alexander Meier by ten at the top of the leading scorers' charts, having at one point gone a lengthy 859 minutes without finding the net, but there is hope the former Germany international can shake off the shackles in the new year. "Every forward goes through a barren spell - myself included," said Leverkusen sporting director and 1990 FIFA World Cup winner Rudi Völler after 'Kies' broke the dam with only his second strike of the season in Matchday 12's 3-1 win over Hannover 96. "It was such an important goal." Kießling added just one more effort to his domestic tally before the winter break as Leverkusen ended the year nine points worse off than at the halfway point of the foregoing campaign in third. Automatic qualification for the UEFA Champions League is once again in sight, but competition for places is arguably at its fiercest, with TSG 1899 Hoffenheim only two points further back in seventh. Critics were quick to point the finger at Bayer 04's usually prolific No11, but as head coach Roger Schmidt noted, "being a striker isn't just about scoring goals. 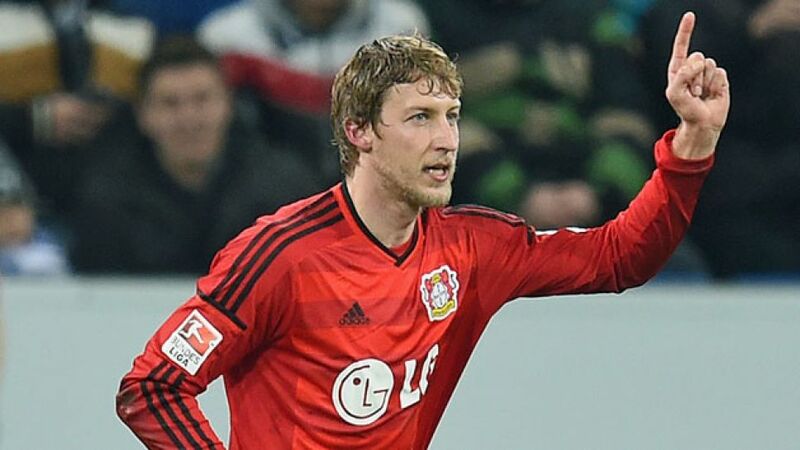 [Kießling] holds the ball up and wins challenges. He's a tireless worker for the team, makes space and keeps defenders on their toes." Be that as it may, no self-respecting striker would be content simply doing the 'dirty work' for his peers. Kießling is no different. The former 1. FC Nürnberg man has ended each of the last three seasons with at least 15 league goals to his name and, with his Rückrunde performances generally more prolific than in the Hinrunde, it is little wonder Schmidt is confident the 2012/13 top scorer "will finish 2014/15 on double figures."